Do you hear that screaming in the distance? Chances are, it’s the BTS Army and they’re REALLY EXCITED about something Jungkook and RM have done. Or perhaps it’s the K-pop group’s new collaboration with Hyundai and all of the super kawaii videos and images that have been released as a result. BTS is a seven-member Korean pop (K-pop) musical group that debuted in 2013. They have six studio albums — three in Korean and three in Japanese. Their fans are called BTS Army and they’re SUPER DUPER No really… if there’s any sort of fan-voted award that BTS is up for, they’re for sure gonna win. As of December 2018, BTS brought $3.6 billion USD (!!!) to the South Korean economy. BTS has 18.8 million Twitter followers and 16 million Instagram followers. Okay, now that we’ve got those important details out of the way, let’s talk about this Hyundai collab. Back in November, Hyundai was like, “Yoooooo, these dudes are selling out stadiums and making bank. 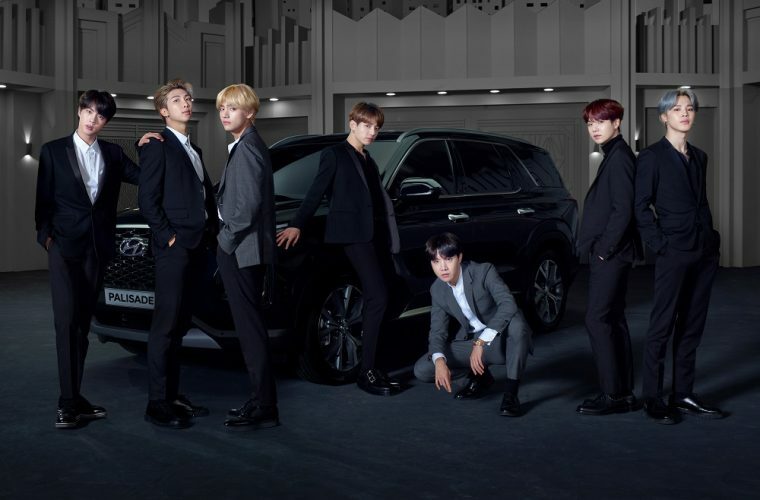 Let’s piggyback off that ish!” BTS agreed and became Global Brand Ambassadors for the all-new flagship Palisade SUV, which debuted at the LA Auto Show along with an exclusive BTS clip. 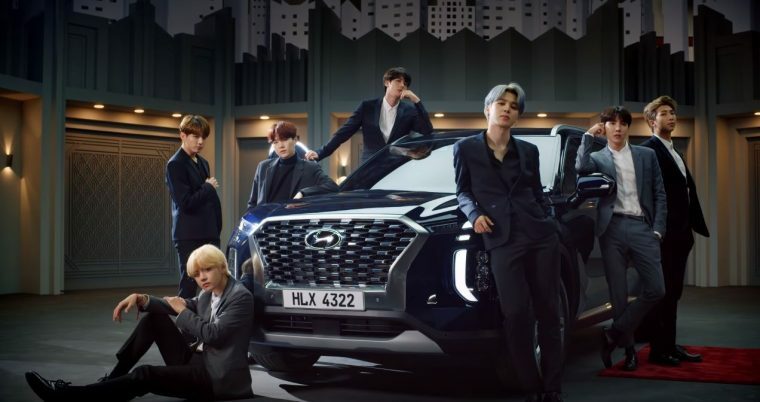 Since then, the K-pop group has starred in a variety of video clips and images on Hyundai’s new lifestyle social media account, aptly named @Hyundai.Lifestyle, promoting the 2020 Palisade as a part of its “Always Remarkable” campaign. The BTS boys even rolled up to the 61st Grammy Awards in the eight-seater SUV. Earlier this month, the seven faces of BTS could be seen on giant screens in seven major cities across the globe. Promoting the launch of ARMYPEDIA, a site that archives the six years of memories made with fans, a short video shows BTS frolicking and side-hugging near a Palisade. Hyundai is hoping to connect with a younger demographic as a result of the collaboration: “This is a great opportunity for Hyundai Motor to increase brand competitiveness among Gen Y and Gen Z,” said Wonhong Cho, Executive Vice President and Chief Marketing Officer at Hyundai Motor. If nothing else, BTS Army will have plenty of fun videos to enjoy.